The Story of Us is LIVE!!! I have loved this author from the very beginning and as much as I love her rom-coms, my most favourite books of hers to this day remain her more serious, emotional and angsty reads and The Story of Us is one of them. The Story of Us is a second chance romance between a soldier and the woman he left behind. Shelby and Eli didn’t part ways how they wanted, or how they expected but through a forced circumstance that perpetually led to heartbreak, for both of them. Misunderstandings and coercion at the root of their separation leads to one intense, epic romance and one that Tara Sivec delivered with emotion, intense character connection and a few shocking twists along the way. Shelby was a woman that was well and truly under her mother’s thumb, blackmail and coercion are par for the course and the life that Shelby always believed that she would lead was a long and far and distant memory. Shelby was stuck between being herself or keeping those that she loved safe. Shelby was going to be a dancer until everything was taken away, now she needed to find her backbone and there was only one person who could help her find it. Eli had been through so much, struggled for most of his life and it seems those struggles are far from over. Shelby had been the one constant, the memories of what they had and shared are what kept him going when it would have been all too easy to give up. Scarred both physically and mentally, Eli is a far cry from the man that left. But, at the end of the day, he knows that the only one that can save him is his Shelby and he will stop at nothing to get her. 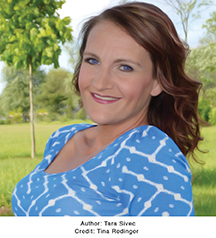 Tara Sivec delivers one poignant, heart breaking, emotional and totally gut-wrenching story. This is where I feel Tara Sivec excels. With all her “serious” books she never fails to tug at every single heart string while firmly implanting her characters into my heart and soul. It is this side of her writing that I wanted a little more from in this book. The outside interferences all got a little crazy at times and detracted from the crux of the story, hence the four stars. But, none the less, despite the crazy of the incredibly wealthy, the heart of this book is what made me love it. Those desperate second chances, that heart and soul connection and the belief in a love that transcends time. Once again, another winner from Tara Sivec.